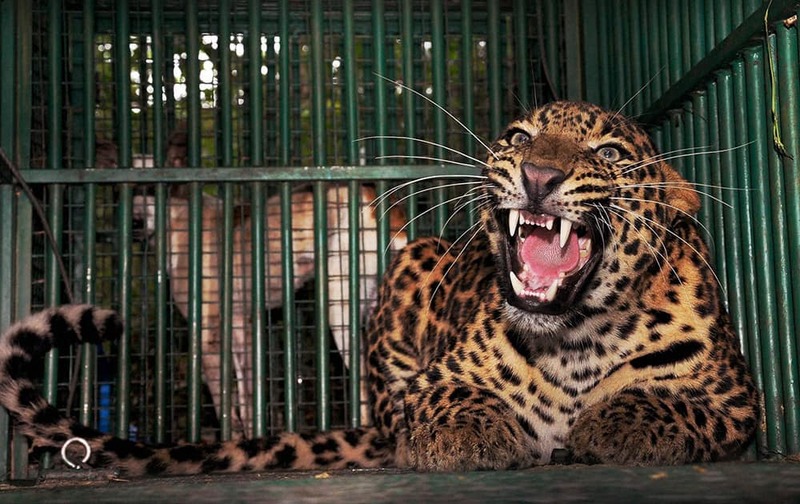 The leopard that was caught by forest officials while wandering around a residential area near Central Sericultural Research & Training Institute and later released in Bandipur National Park, in Mysore. 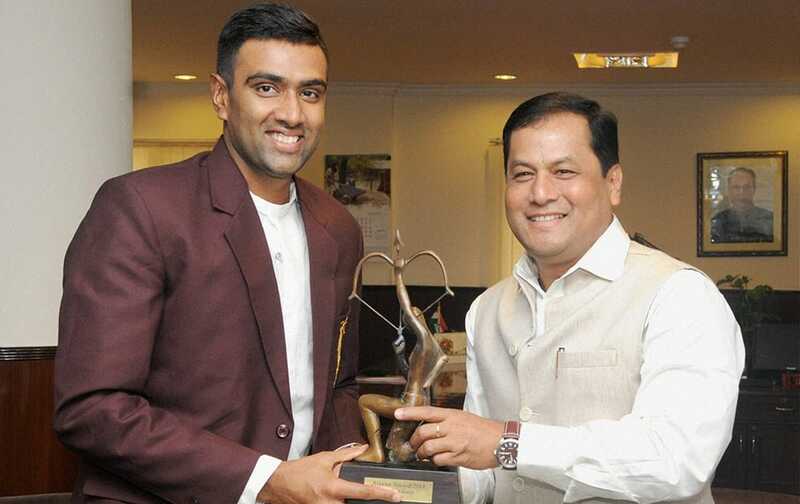 Sports Minister Sarbananda Sonowal honours Off-spinner Ravichandran Ashwin with the Arjuna Award which was conferred on him last year, in New Delhi. 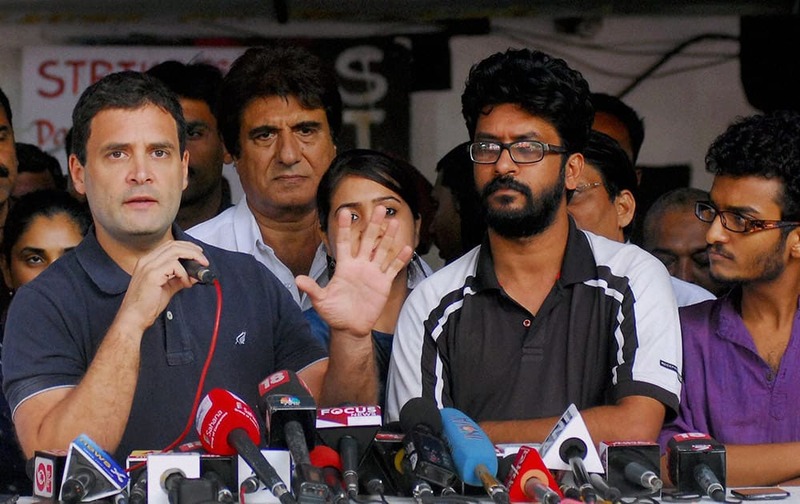 Congress Vice President Rahul Gandhi talks to the media after meeting agitating students of the Film and Television Institute of India (FTII) in Pune. 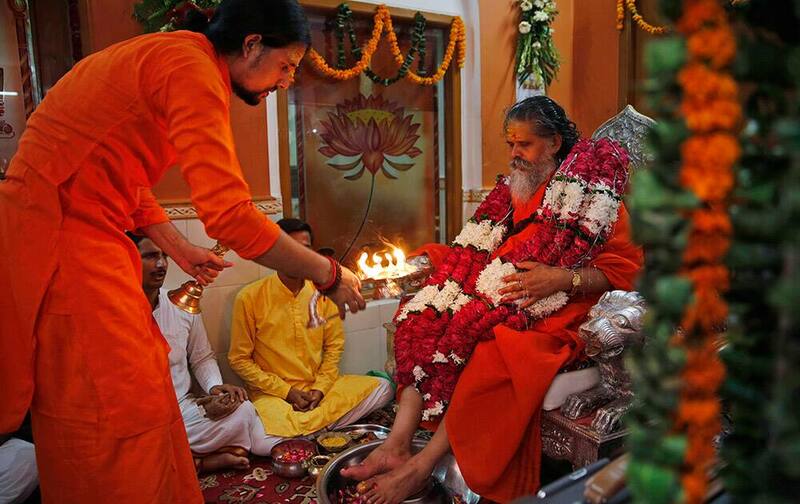 A Hindu devotee prays to his Guru on the occasion of Guru Purnima, or full moon day dedicated to the Guru, in Allahabad. 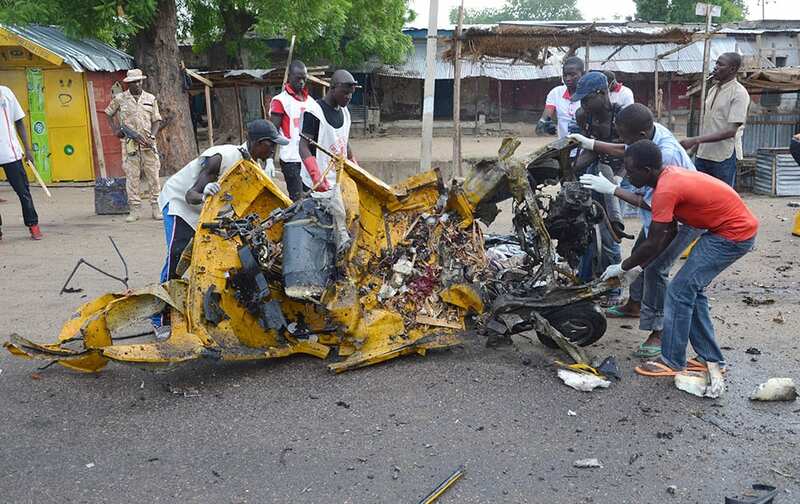 People inspect a damaged tricycle at the site of a bomb explosion in Maiduguri, Nigeria. A woman suicide bomber killed many people at a crowded market early Friday in a blast that thundered across the northeastern Nigerian city of Maiduguri, witnesses said. 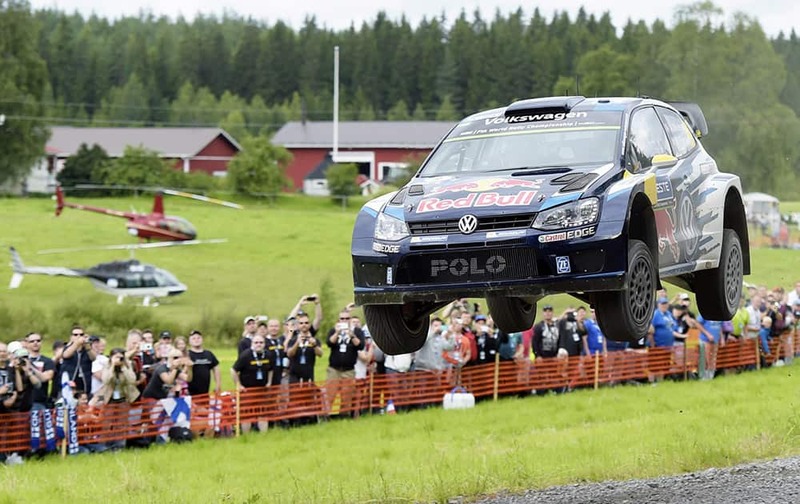 Norwegian Volkswagen Polo R WRC driver Andreas Mikkelsen and co-pilot Ola Floene get airborne during the Ouninpohja special stage of the 2015 FIA World Rally Championship WRC Rally of Finland in Jyvaskyla, Finland. 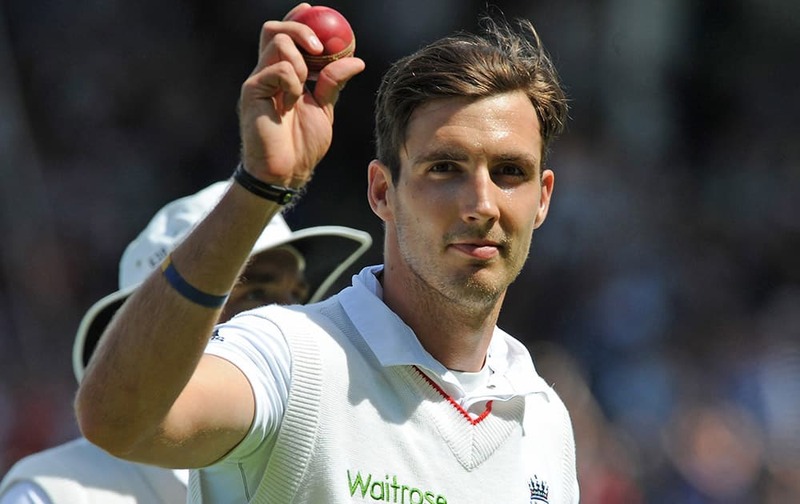 England’s Steven Finn acknowledges the fans after finessing with six wickets during day three of the third Ashes Test cricket match, at Edgbaston, Birmingham, England. 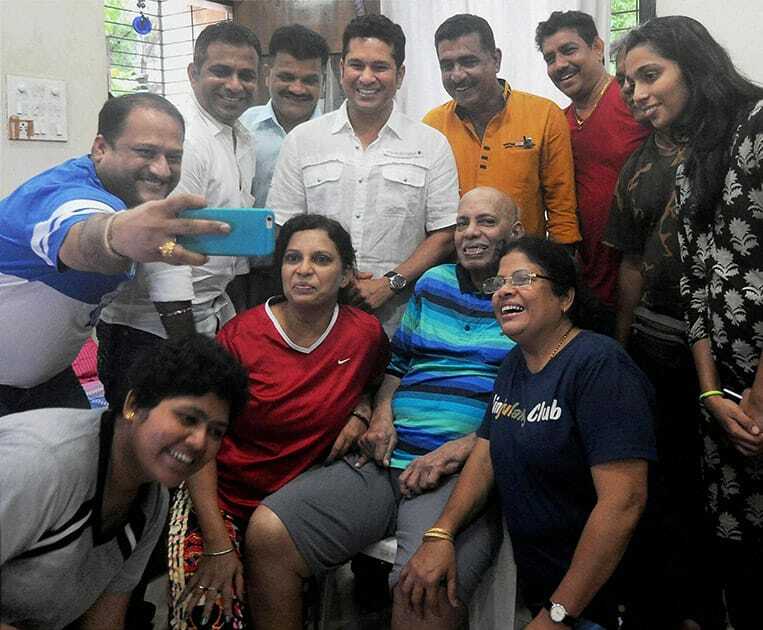 Sachin Tendulkar along with Atul Ranade, Sameer Dighe, Naresh Churi and Ajay Keer take blessings of their Guru, Ramakanth Achrekar on the auspicious day of Guru Purnima in Mumbai. 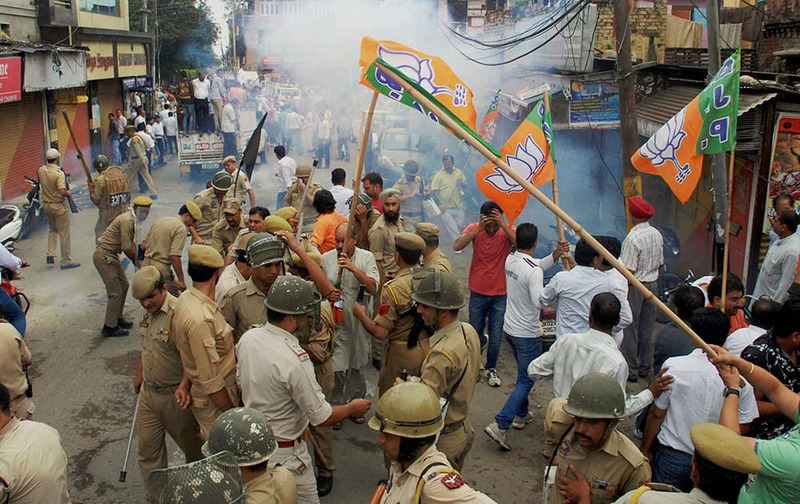 Police intervene to stop clashes between AIIMS Coordination Committee supporters and BJP activists in Jammu. 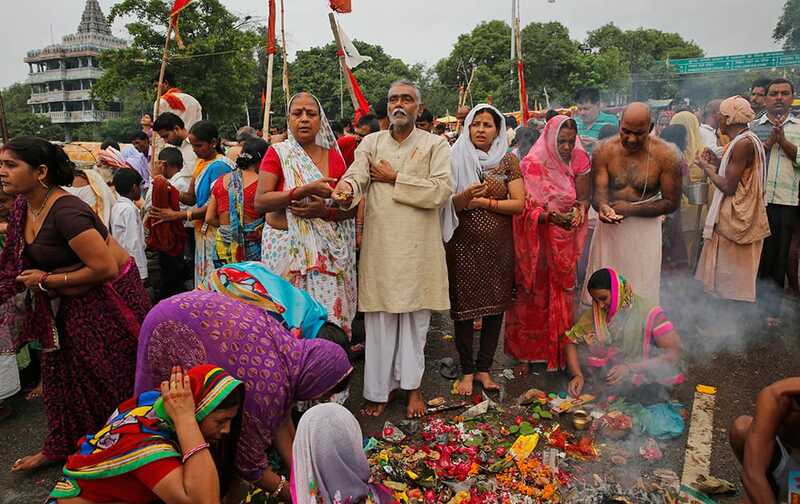 Hindu devotees pray after taking a holy dip at Sangam, the confluence of the Rivers Ganges, Yamuna the mythical Saraswati, on the occasion of Guru Purnima, or full moon day dedicated to the Guru, in Allahabad. 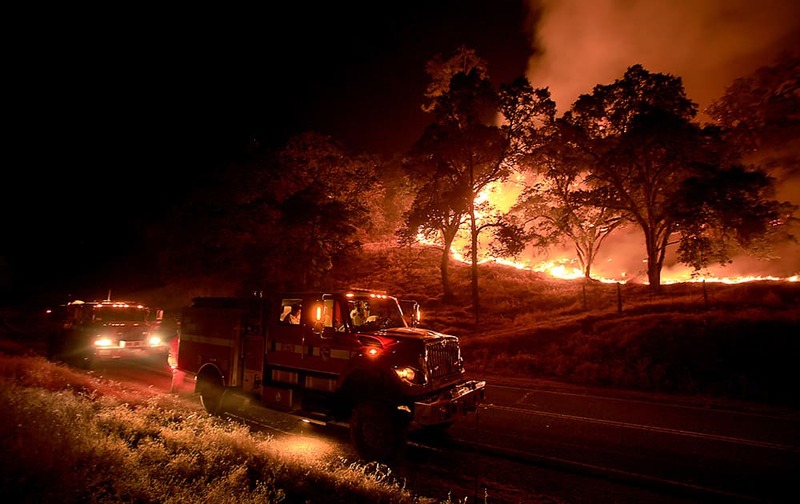 Cal Fire crews from Napa's Greenwood Ranch Station monitor a fire, near Lower Lake, Calif.
A girl is silhouetted against a rising full moon as she ride an attraction at Worlds of Fun amusement park, in Kansas City, Mo. 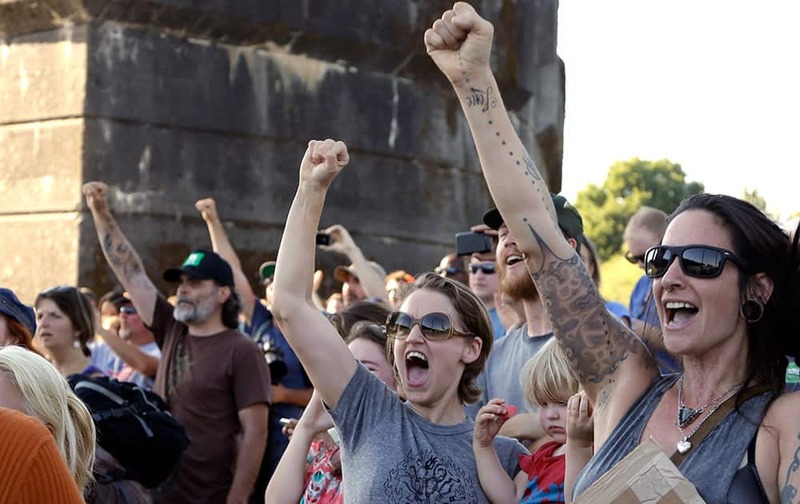 When the full moon appears at 6:43 a.m. EDT (1043 GMT) in the US Friday, it will become the second full moon of July. 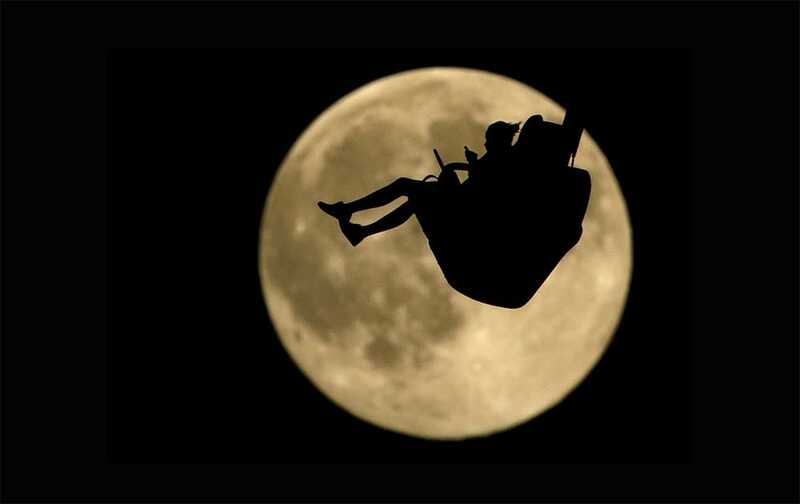 Geoff Chester of the US Naval Observatory said the traditional definition of a blue moon is two full moons in a month. 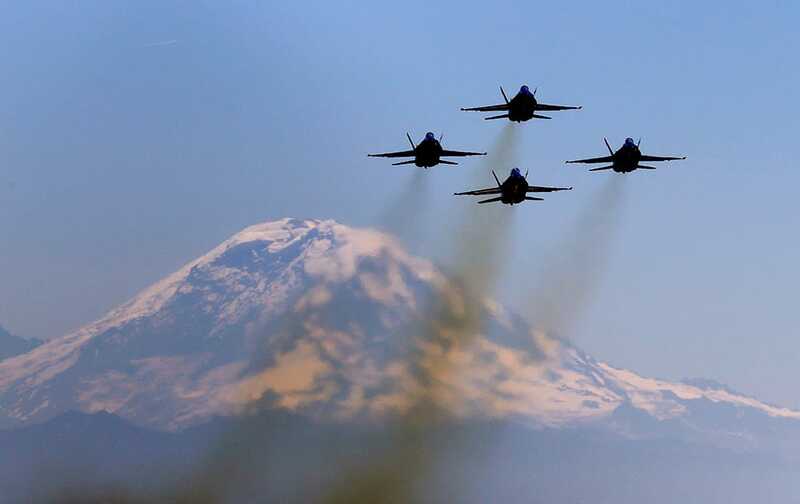 People cheer as kayakers try to stop the Royal Dutch Shell PLC icebreaker Fennica as it heads up the Willamette River in Portland, Ore.
Members of the US Navy Blue Angels fly in formation as they take-off in view of Mount Rainier for an air show practice, from King County Airport in Seattle. 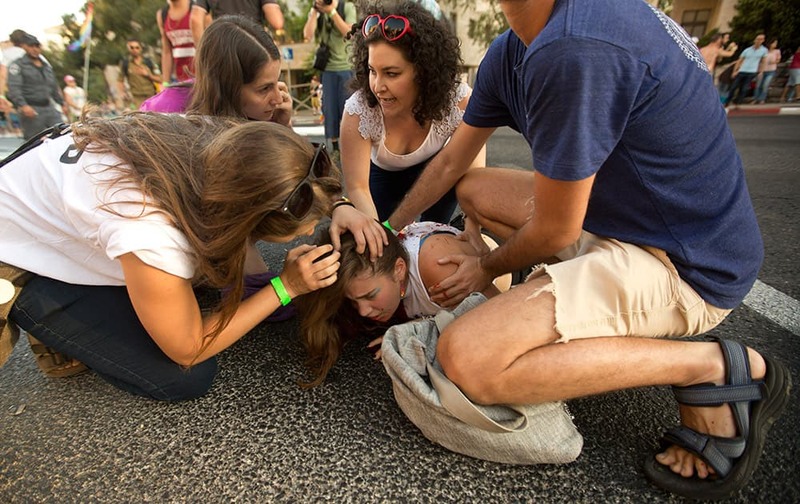 People help a wounded person after Yishai Schlissel, an ultra-Orthodox Jew, attacked people with a knife during a gay pride parade in Jerusalem. 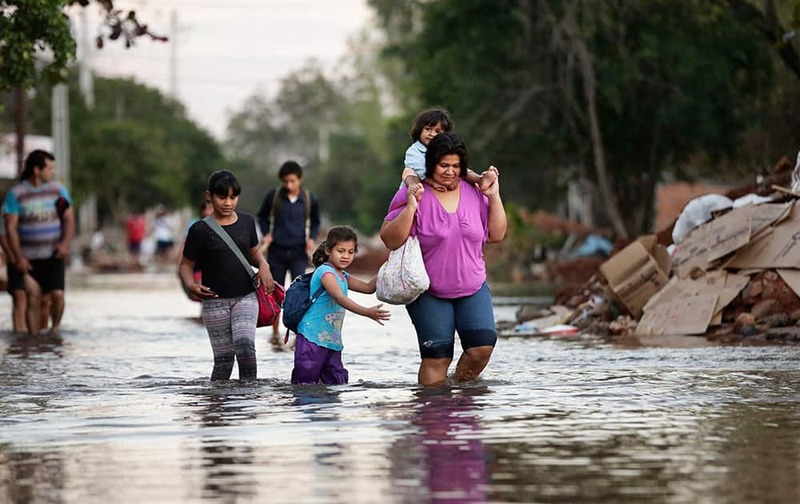 Victoria Barreto and her children wade through a flooded street to get to their school, in the Banado Norte neighborhood, in Asuncion, Paraguay. 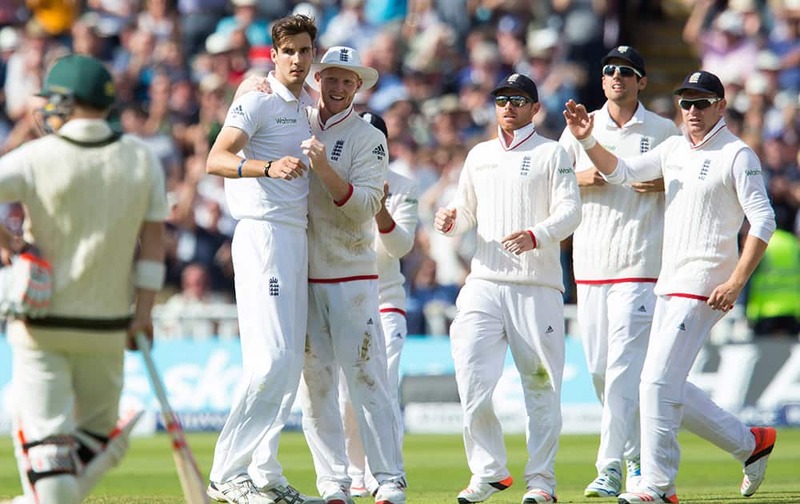 England's Steven Finn, second left, celebrates with teammates after bowling Australia's Mitchell Marsh for six on the second day of the third Test match of the five match series between England and Australia at Edgbaston cricket ground in Birmingham, England. 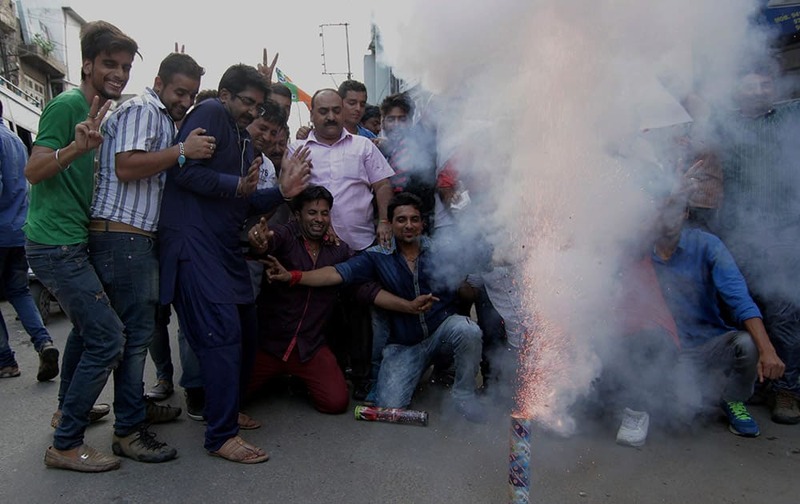 BJP workers burst crackers as they celebrate the announcement of AIIMS for Jammu by Union Health Minister JP Nadda, in Jammu. Alia Bhatt's hot photoshoot for Magazine cover!